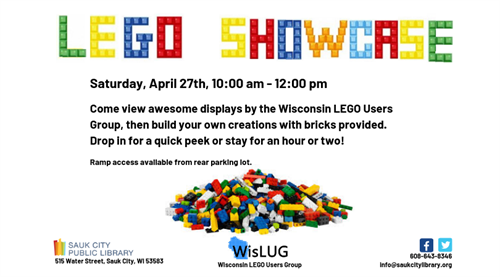 The library is hosting a morning full of Lego fun. Come view awesome displays by the Wisconsin LEGO Users Group (WisLUG) and build your own lego creations with the bricks provided. Drop in for a quick peek or stay for an hour or two!